The Panasonic Lumix G Series has grown considerably over recent years and with the announcement of the new Lumix GX9, there's now a new compact model for those interested in quality and control. While this camera really updates and replaces the GX8, in design it owes more to the GX80. That combination - of the power from the GX8 with the compactness of the GX80 - results in an attractive proposition as you're getting more in a smaller package. 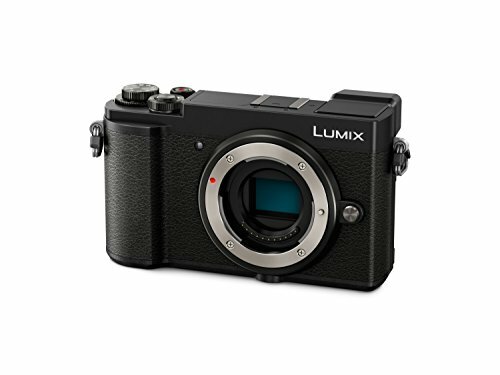 Panasonic suggested that this camera might appeal to "street photographers", those who want to keep things light and free from bulk, but while still retaining a full range of shooting options. We had some some time with preproduction models to form some initial impressions. The similarity to the GX80 can't be ignored. The look and feel of the new GX9 is very similar to that older model, carrying with it a design that, while not reaching as far as Fujifilm in the retro stakes, has some classic camera charm about it. While compactness has its some merits, we're sure that some photographers will question the handgrip situation. The GX8 had a more pronounced grip on the right-hand side - as do Panasonic's other recent updates, the G9 and GH5. While that's now been largely reduced which helps keep the size down, there's no ignoring that a good grip is essential for control. There will be a grip accessory for those missing that sort of one-handed control that will bring it back into line with those more advanced models. To perhaps provide a little more assurance in the hand, there's a rubber thumb grip on the rear, which at least means that there's a little more purchase: you're not just left gripping the buttons. One of the big shifts in design is in the rear display. From the vari-angle screen on the GX8, there's now a pivot screen - like the more compact Lumix G models, the GX80 and GX800. This is much slimmer in construction than the GX8 and it looks more elegant, but it does have the disadvantage that you can't reverse it can fold it away, screen side in, to keep it protected from scratches. The viewfinder in the top left-hand corner is compact, flipping up into different positions to give you more freedom in composition. Like the display, you won't have be scrabbling around on the floor when composing those low angle shots - but it does step down from OLED to LCD which is where the differentiation from the top Lumix models lies, along with a drop in resolution. There's also no real weatherproofing on this model, something to consider if you plan on using your GX9 out in the wild. What really speaks to us is the compactness of the design. It's not the smallest Lumix model - that's an honour taken by the GX800 - but some might find that camera a little too small. Here, on first impression it doesn't feel as though there are too many control compromises introduced. A big part of the GX9's story is the 20.3-megapixel sensor with no low-pass filter. The aim here is to boost detail and quality. The GX8 also carries a 20.3MP sensor but includes the low-pass filter, while the GX80 is the older 16-megapixel sensor without the filter. We loved the quality of GX80 and we'd expect wonderful quality from the new GX9 too. There's Panasonic's 5-axis image stabilisation in the body, which will boost the stability of any lens you attach to the front of the GX9; this in-body stabilisation works in partnership with in-lens optical image stabilisation - offered across a wide-range of Lumix G lenses - to give you a Dual IS setup. Lots of stabilisation being done by the hardware gives you more freedom to shoot those lower light photos at slightly slower speeds, without the worry of blurry photos. We've mentioned that new display on the rear - which fully supports touch - but the important viewfinder gives you a full range of options when shooting in bright conditions. It's compact, which is fine and best used with your right eye, otherwise you run the risk of poking the rear screen with your nose. There's a dioptre adjuster on the right side of this viewfinder, but it's a little fiddly to get to. One of Panasonic's other accessories for this camera is a larger eye cup, to boost comfort for those using it most of the time. That EVF is LCD this time around, rather than OLED, and there's a drop in resolution from the top Lumix models, although we suspect you'll only notice if you're moving from one of those higher-spec models. The layout of the controls will be familiar to anyone who has used a Lumix camera before with dials on the top for the shooting mode and exposure compensation and a video record button tucked into the centre of the power switch. There are eight customisable function buttons and dials littered around the body, giving you some freedom to elevate controls you might want immediate access to. There's also a switch on the rear to change the focusing mode, ideally placed for making changes on the fly. As well as letting you mount accessories with the hot shoe, there's a built-in flash too, so there's a great hardware offering letting you run with a small Lumix model, or expand it for more potent shooting. What we can't judge is the quality or performance of the new GX9. The prototype models we've handled were indoors, we weren't able to extract or examine any test shots and the software wasn't in final form - such is often the way when you encounter a brand new camera. Given Panasonic's track record with recent cameras, we're certain this is going to be a star performer. The feature set of the GX9 is vast; for a long time Panasonic has been pouring features into these cameras, from reliable iA shooting through to fun and advanced features for those looking to be more creative. 4K Photo is something that Panasonic has been pushing for some time and it really is a very good feature for those wanting to take the perfect shot from fast moving action. 4K Photo takes advantage of the MPEG4 video format, giving you 30 frames per second capture for as long as you hold the shutter button down. As the name suggests, the resulting images are 4K - about 8-megapixels - but it gives you a frame rate that the camera won't maintain at full resolution. In fact, it tops out at 9fps in normal full-resolution burst shooting. The newness comes into 4K Photo with automatic marking. As you might have lots of photos, the camera will now suggest where the perfect photo is. It can use face detection to assist this for example, so if you're taking photos of things that never keep still - like children - then a green marker in your 4K Photo burst can point you to images that have a clear face in focus. We tested this out a couple of times and found it worked pretty well, certainly helping cut through those big bursts of photos. Another new feature allows you to construct sequence shots, allowing you make a composite with a subject in several positions in a frame. A car on a race track is a perfect example, where something is moving through the frame. Again, you can highlight what you want from your 4K Photo capture and have it assembled into one image. We've not seen this process completely in action - due to early-build software - but the parts we did see of the process suggested it's going to be fast and easy to use. Focusing seemed fast and reliable, although on pre-production hardware in limited conditions it's difficult to make any definitive statements about performance. This camera is certainly feature packed and we can't wait to get our hands on it out in the real world. There's a lot more to explore on this camera - we've really only mentioned the new additions to this model - but we get the feeling that this combination of size and functionality will be popular with photographers. It's a camera that slips into a central position in the Lumix family; there are some hardware compromises compared to top models, but that's set in the context of a format that's compact and light, ideal for those shooting out on the move. The Panasonic Lumix GX9 will be available for a body-only price of £699 and will be available from early-March. We'll be bringing you a full review as soon as we can.